This surprise find from October, 2014 looks a whole lot better on Stella than when I photographed it on a bed in the condo! I simply cannot date it accurately, though it is true vintage. 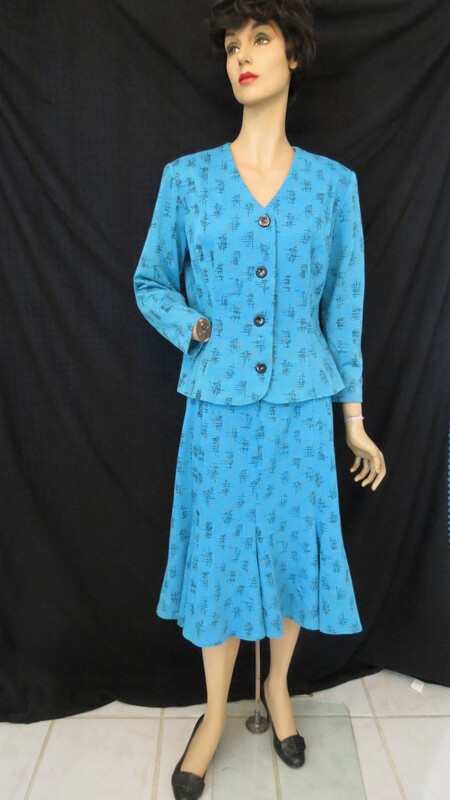 Custom-tailored, the padded shoulders and bias-cut skirt panels are a Forties thing, while the bonded knit fabric looks more like Fifties or Sixties (maybe even Seventies) and the buttons are uncertain but the zipper is older. Could it be Eighties Does Forties using some older notions? Anyway, it’s a cute little casual suit and will be a LOT of fun to accessorize It can be frustrating to be stumped, but you know I love a mystery . . . . .
Posted on October 5, 2017 by Morgana Martin, the magicvintagespy. 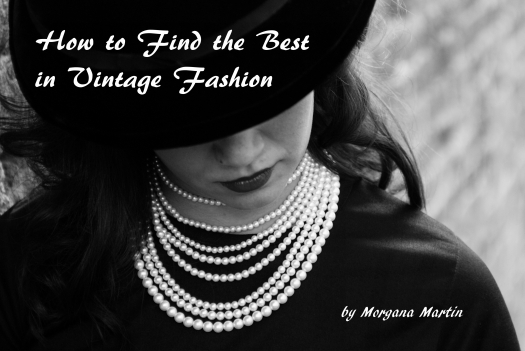 This entry was posted in Australia, blogger, clothing, fashion, ladies, skirt suit, true vintage, vintage, vintage blogger, vintage clothing, women's and tagged '40's, '50's, '50s, '60's, '60s, '70's, 1940's, 1940s, 1950's, 1950s, 1960's, 1960s, 1970s, 1980s, 40's, Australia, blogger, casual, clothing, custom tailored, custom-tailored, Eighties Does Forties, fashion, fifties, find, forties, ladies, skirt suit, true vintage, vintage, vintage blogger, vintage clothing, women's. Bookmark the permalink.